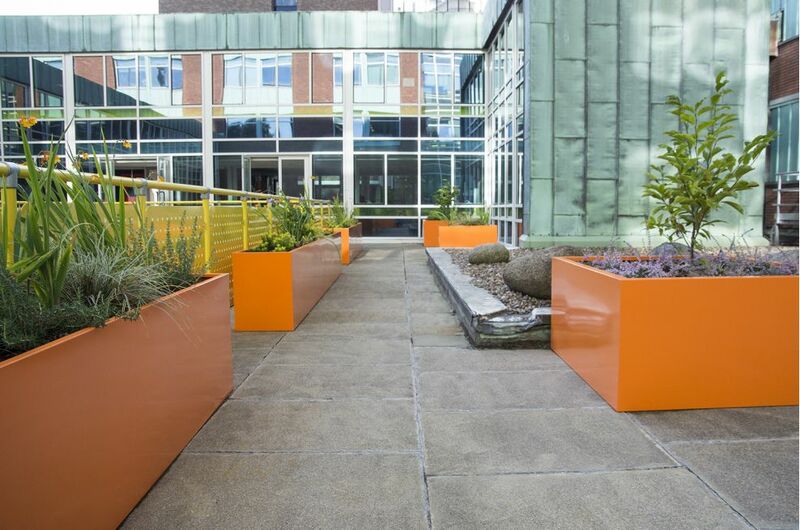 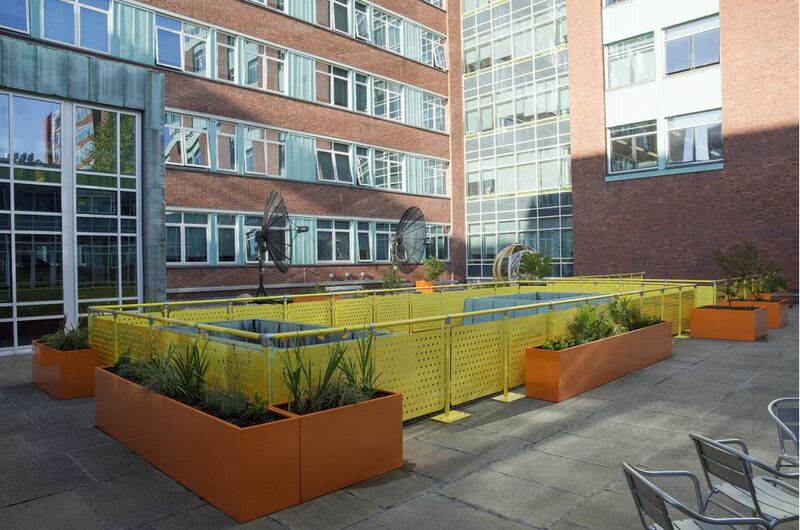 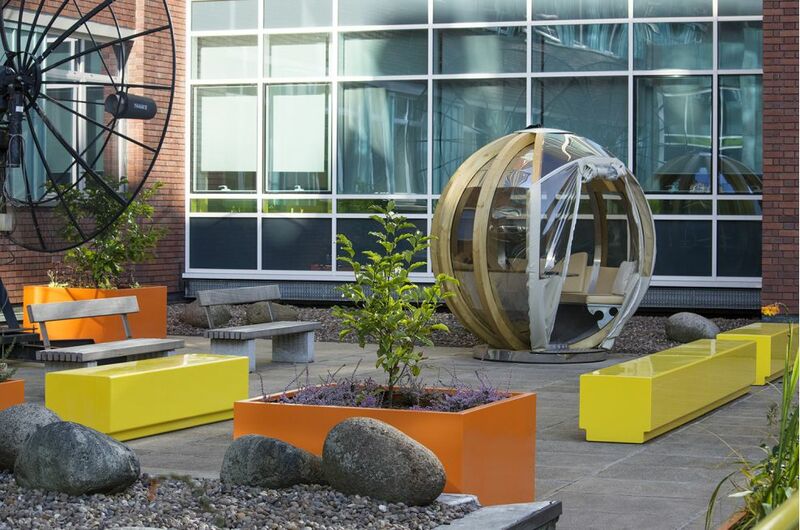 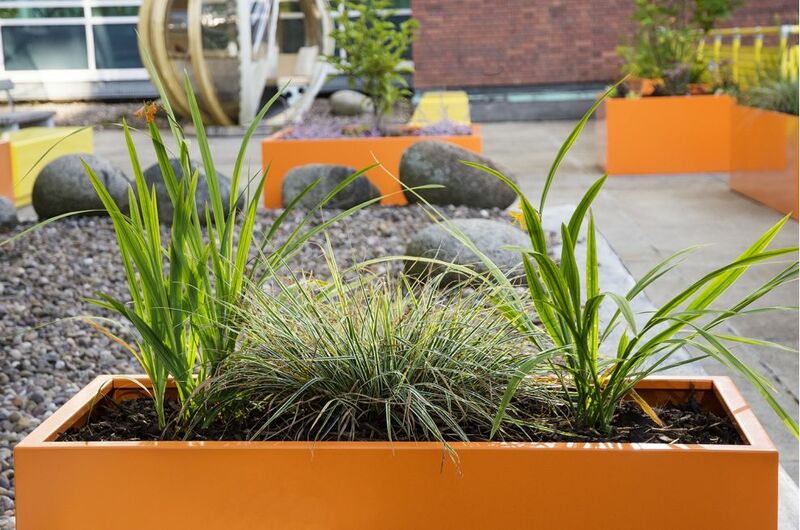 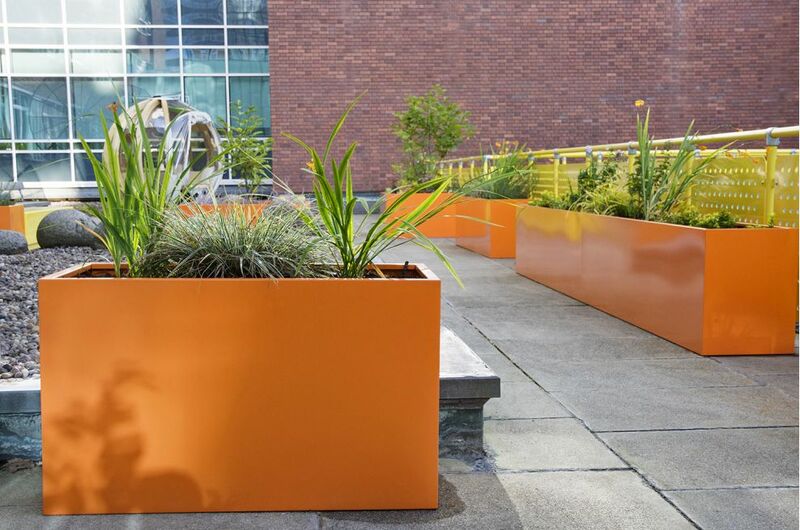 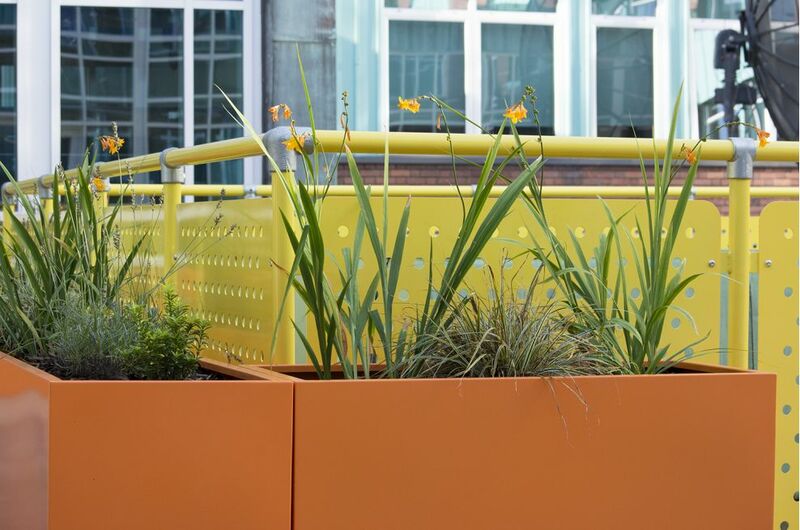 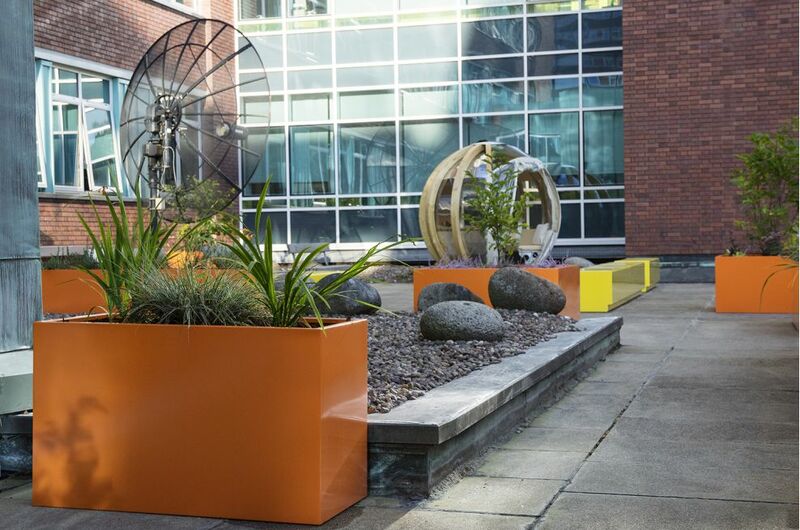 Strikingly coloured custom steel planters were supplied to the University of Manchester, as part of the refurbishment of the Schuster Building – home to the University’s School of Physics and Astronomy. 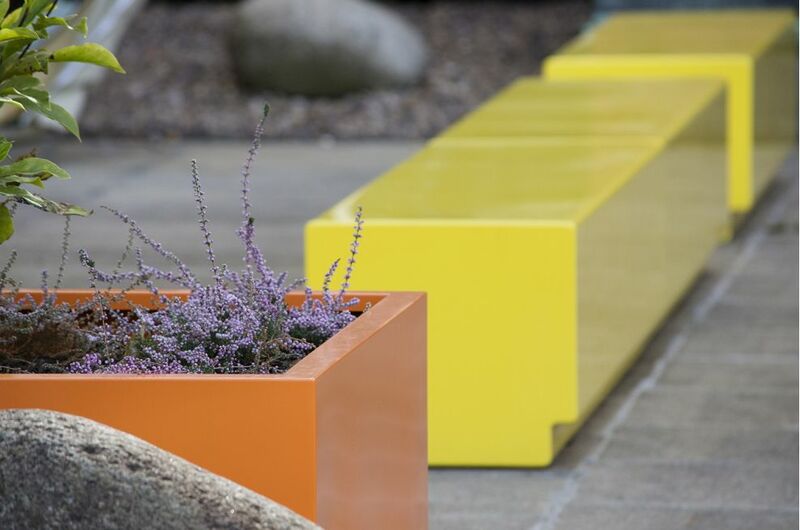 A total of 19nr. 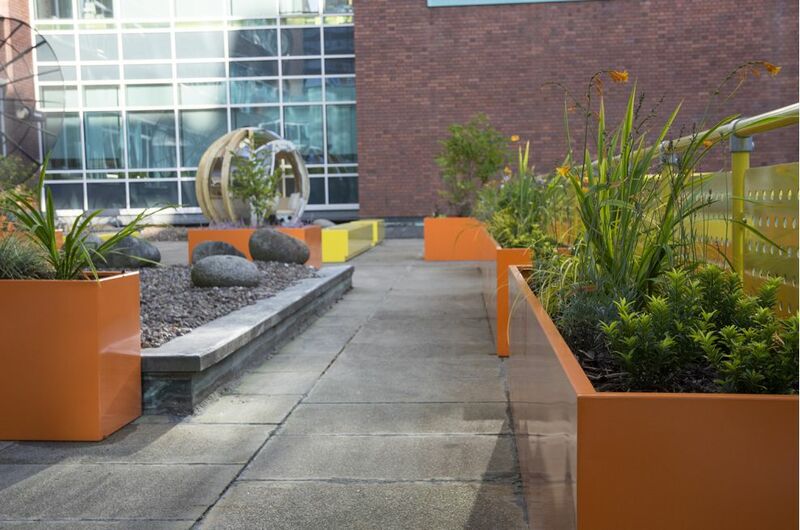 planters were supplied: including rectangular trough planters of varying lengths up to L 4000 x W 450 x H 600mm, and tree planters of dims. 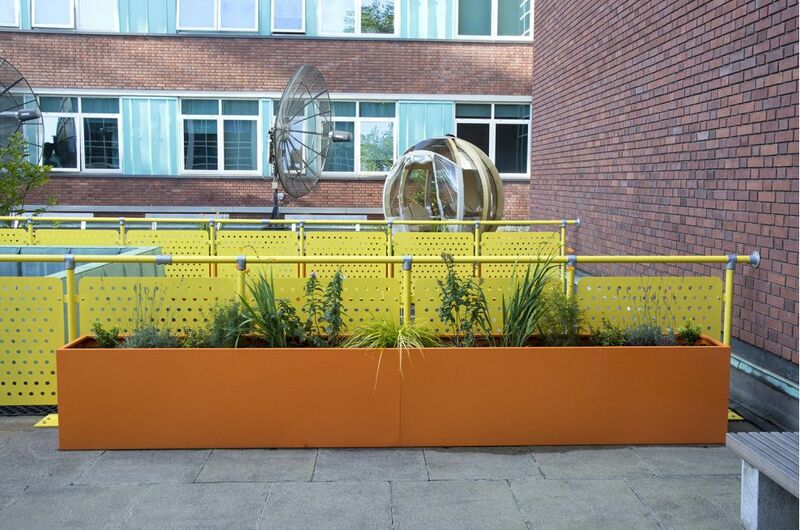 L / W 1200 x H 600mm. 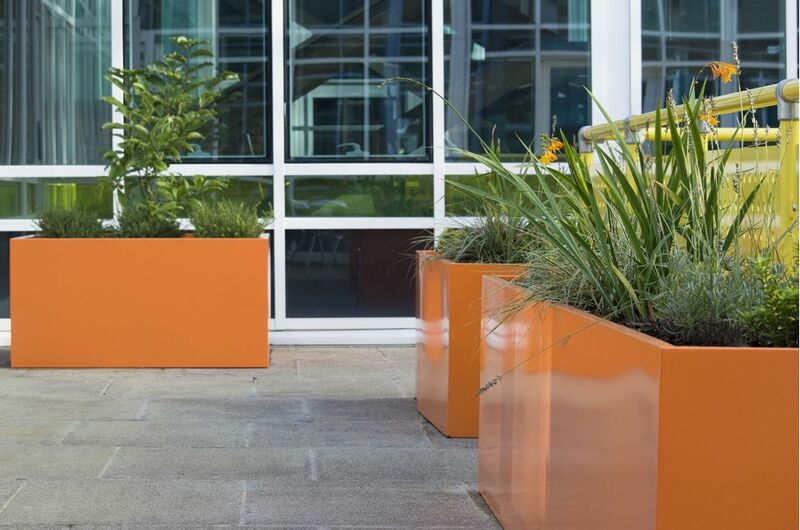 The metal planters were manufactured from 1.5mm thick Zintec steel, and included internal reservoirs. 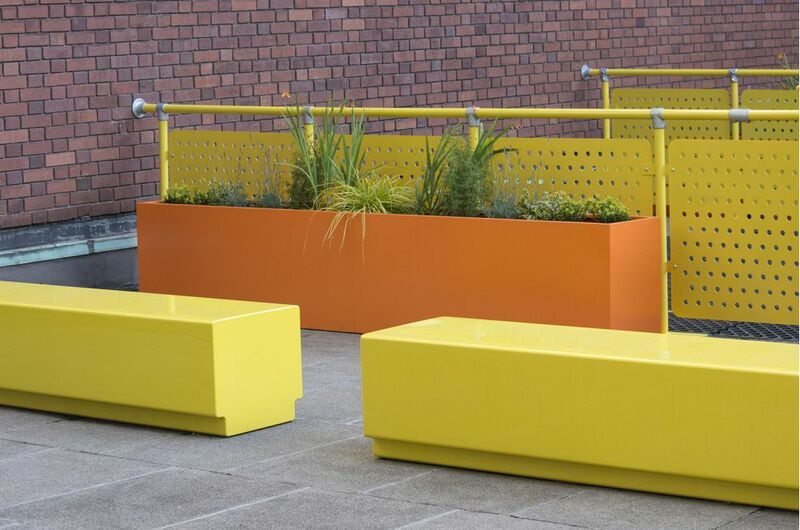 The planters were polyester powder coated to RAL 2003 [Pastel orange] – a colour which creates a striking contrast to bespoke fibreglass seating in RAL 1018 [Zinc yellow], supplied by Sui Generis. 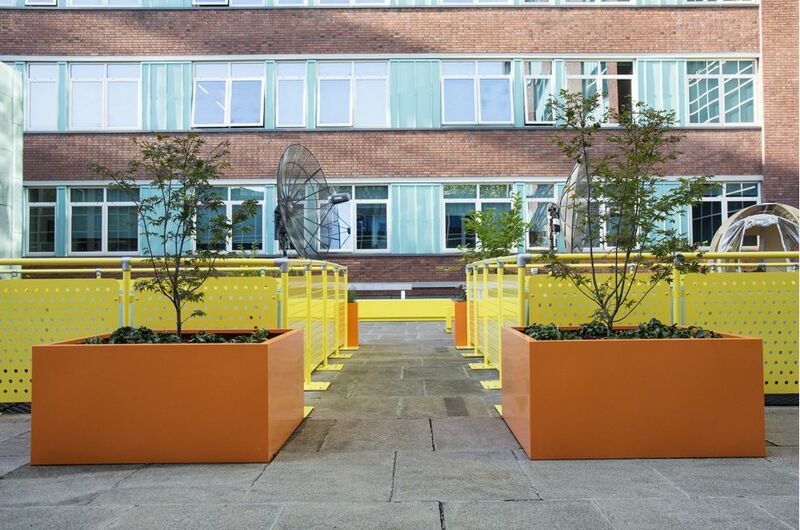 The scheme was designed by architects Halliday Meecham, and the planters were commissioned by Novus Property Solutions for the University of Manchester.